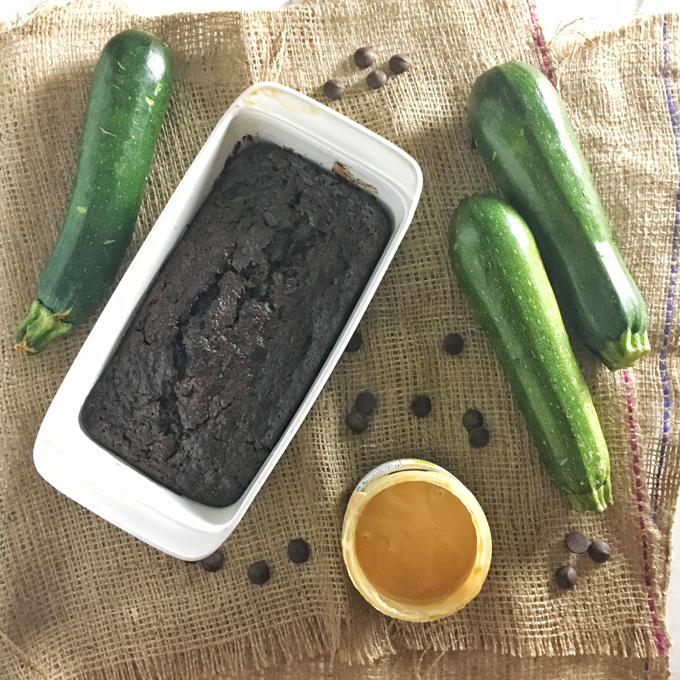 Add some savory sesame flavor to your dessert with this Chocolate Tahini Zucchini Bread. 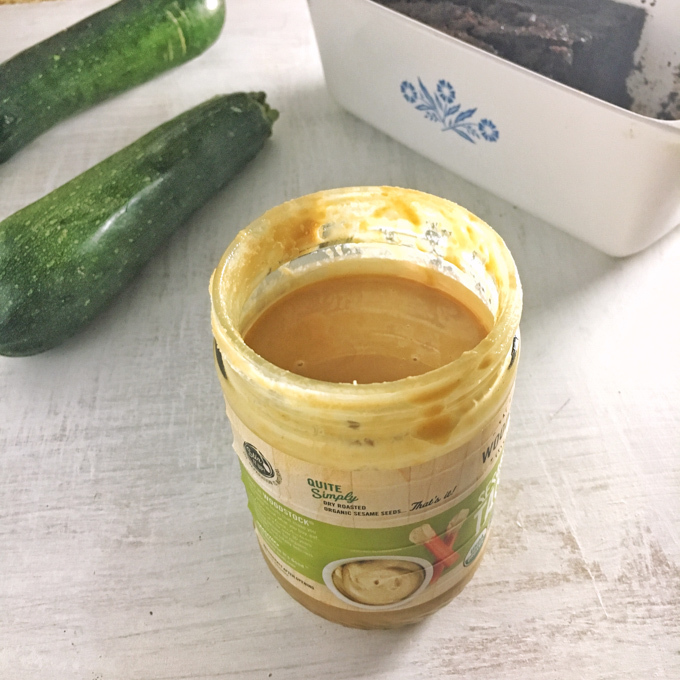 Tahini is a paste made from ground and toasted sesame seeds and is a key ingredient in hummus, baba ghanoush and havla (dense candy-like treats.) 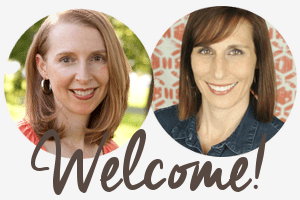 And thanks to the hummus craze (which is one this dietitian can get behind) and the rising popularity of Middle Eastern cuisine, tahini has become a hot ingredient of late. I’ve used it in the past in hummus but never thought of using it in a different type of recipe, until now. Lately, I’ve been seeing it used in quick bread, cookies, brownies and other desserts, often in place of nut butters. Now, tahini is not as sweet as most nut butters – even unsweeted nut butters. Tahini has more of a savory and earthy taste to it. 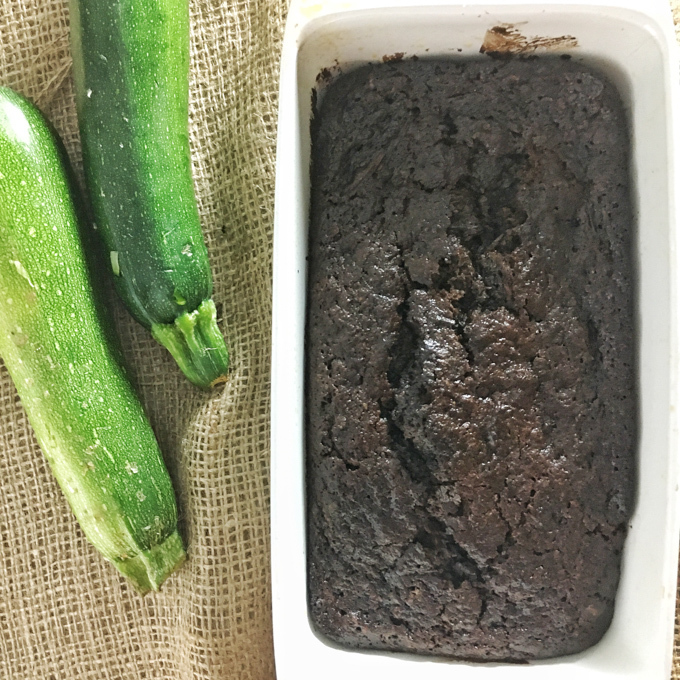 Because I’m swimming with zucchini – as I’m sure many of you are, too – I thought I’d take a crack at using tahini a zucchini bread. Confession: I was skeptical on how it would taste but it was FANTASTIC. The bread had just a hint of the tahini flavor which was perfect (I used 1/3 cup – I think any more would be overwhelming.) 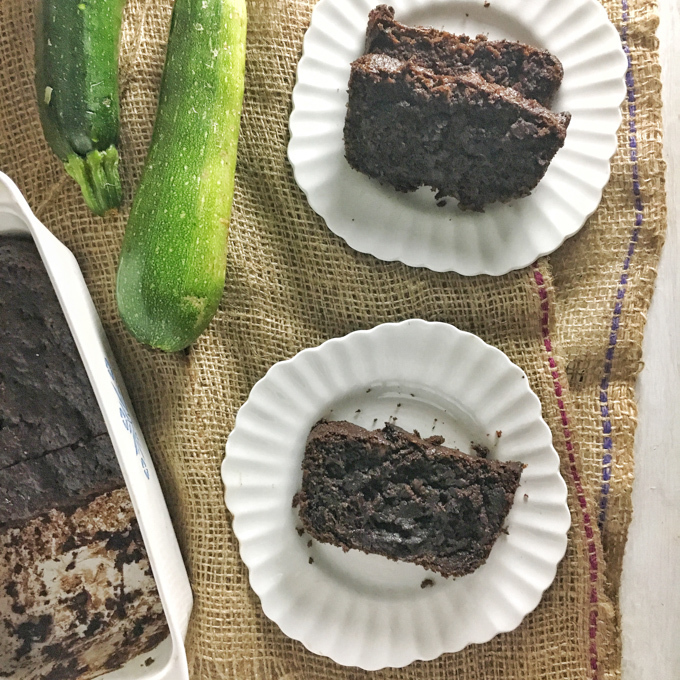 Even my tricky eater husband and daughter (who’s a bit of a better eater) loved it —–Ok, I may have told them it was chocolate cake…..
Preheat oven to 375 degrees Fahrenheit. Grease a 9 x 5 x 3-inch loaf pan and set aside. In a small bowl, whisk together flours, flaxseed, cocoa powder, baking powder, baking soda and salt. Set aside. In a stand mixer or a large bowl with hand mixer, beat together zucchini, sugar, oil, tahini and egg. Add dry ingredients and beat until all the ingredients are just mixed together. Pour batter in loaf pan and bake for 55-60 minutes or until bread tests clean. Cool on rack for 10 minutes and then remove from pan. Oh my gosh, this is so funny, I just made chocolate tahini brownies last week! I saw this on Triberr and had to check out your recipe! It sounds delicious!! I love baking with tahini, it’s so yummy as the fat in the recipe!